The government needs to bring reform in investment, pricing, procurement and credit. Of late, the issue of farmers’ distress has gained attention across the political spectrum. Several schemes – ranging from income support to farm loan waivers – have been announced by the Centre and states. But how genuine are these attempts? As elections approach, political parties try to do everything to address such issues and subsequently do very little. For any meaningful policy response, it is critical to understand the nature of the crisis that farmers face. There are two key facets of the farmers’ crisis – falling income and indebtedness. As per NABARD’s All India Rural Financial Inclusion Survey, the major sources of income for farmers are cultivation, wages (as labourers) and other allied activities. Data show that the monthly income of agricultural households from cultivation remained almost constant during the last four to five years (Rs 3,081 in 2012-13 and Rs 3,140 in 2016-17). If adjusted for inflation, a declining trend is seen. The earnings of small and marginal farmers from cultivation are substantially low. Marginal farmers with less than 0.01 hectare of land earned just Rs 566 per month. 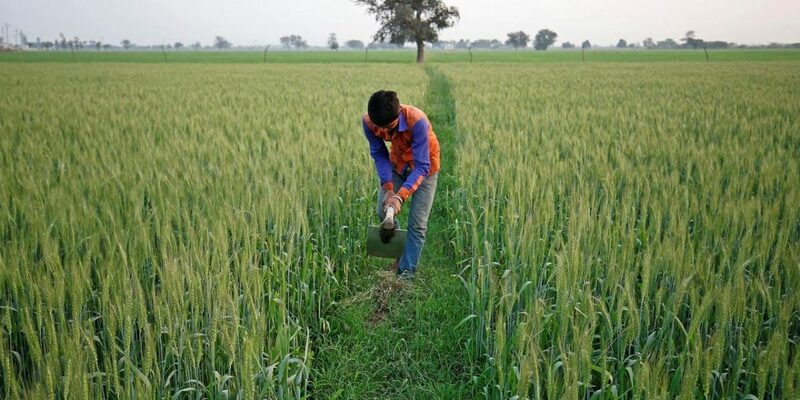 Small farmers with land between 0.01 and 0.40 hectare earned Rs 1,488 per month from cultivation, in contrast to the earnings of farmers having more than two hectares of land (Rs 7,572). Wage earning is the second major source of income of farmers, constituting around 34% of their total income. The rural wage rate in the last three to four years is either almost constant or declining. The annual average growth in wages from agriculture labour has declined from 6.9% in 2014-15 to 1.2% in 2016-17. Income from other allied activities has also declined in recent years. Indebtedness is another dominant source of stress. Around 52.5% of rural agricultural households are found to be indebted, with a high average annual debt amount of Rs 1,04,602 per household. In 2016-17, the average monthly earning of agriculture households from all sources was Rs 8,931 – as against their consumption expenditure of Rs 7,152 per month. A farmer is left with the meagre surplus of Rs 1,779 per month to meet the cost of cultivation, invest or repay a loan. It is inadequate to meet any of the requirements. The low and falling income reduces the ability of farmers to repay debt. With the multiple risks associated with cultivation – a bad monsoon, flooding, crop failure or inadequate pricing – farmers get entrapped in perpetual indebtedness, which has led to the increasing number of farmer suicides in the country. The announcement of an annual amount of Rs 6,000 (Rs 500 per month) as direct income support under PM-Kisan – for farmers possessing land upto two hectares – seems grossly inadequate for lifting marginal and small farmers out of poverty; the national poverty line cutoff for rural areas is Rs 816, as per the Suresh Tendulkar Committee. The income support does not include a large number of tenant farmers and landless agricultural labourers (around 6.65 crore). Firstly, public investment is critical for the growth of the sector and can immensely contribute to the income of farmers. Over the years, the total budgetary investment of all Indian states in agriculture and allied activities has declined from around 15-17% between 1974 to 1985 to around 4-5% recently. The gross capital formation in the agriculture sector has also declined in the recent past – from Rs 2.4 lakh crore in 2013-14 to Rs 2.2 lakh crore in 2017-18. The declining share of public investment forced farmers to invest in agriculture out of their own resources. Due to inadequate incomes, they largely relied on borrowings. In the absence of adequate institutional credit, small and marginal farmers – constituting two-thirds of the farming community – largely depended on moneylenders and adhitiya for loans. The higher interest rates further forced farmers into indebtedness. Secondly, returns on cultivation should be ensured through an appropriate minimum support price (MSP) on farm products and/or reducing input costs. There has been a demand to raise the MSP of all commodities to 1.5 times the cost – as recommended by the Swaminathan Committee. The government recently claimed that the MSPs for all 22 crops have been raised to 1.5 times the cost. The Commission for Agricultural Costs and Prices (CACP) report 2019, however, indicates that most of the MSPs are lower than the market price. In practice, the announced MSPs of most crops is 20-30% lower than the market price. Farmer associations have pointed out that announced MSPs are lower than the recommended formula. In addition, a large number of farmers are unable to sell their produce even at the announced MSP. The middlemen in the marketing or supply networks make the most profit. On the other hand, the composite crop input price index for rabi crops has indicated an increase in input costs. Lastly, focus on allied activities within the primary sector is critical. It provides additional income to farmers, which is especially helpful in times of crop failure. The government needs to bring reform in investment, pricing, procurement and credit. Addressing these critical issues will help lessen the burden on India’s farmers. Shailender Kumar Hooda and Santosh Kumar Das are faculty at the Institute for Studies in Industrial Development, New Delhi. Views are personal.